Should we feed our dogfs like wolves? Should we feed our dogs as if they were wolves? There is a current trend among some dog owners to promote the idea that dogs should be fed a diet based upon their wolf ancestors, based heavily upon meat with minimal amounts of cereal or grains. And certain brands have sprung up to cater for this trend. However, the science upon which this is based does not appear to be that strong. 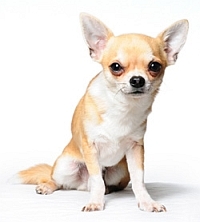 Indeed, many have always considered that the modern dog (consider the Chihuahua for instance) are a long way evolved from a wolf, and their digestive system may have evolved to cope better with a diet that more resembles that of the human animals they have been companions for over many generations. This might explain why some of our dogs are so good at scavaging for food in bins! The study, by Dr Erik Axelsson and colleagues from Uppsala University in Sweden examined the DNA of more than 50 modern dogs from breeds as diverse as the cocker spaniel and the German shepherd. They then compared their generic genetic information with those of 12 wolves taken from across the world. The Swedish-US team scanned the DNA sequences of the two types of canid for regions of major difference. These would be locations likely to contain genes important in the rise of the domesticated dog. "The domestication of dogs was an important episode in the development of human civilization. 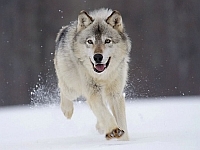 The precise timing and location of this event is debated and little is known about the genetic changes that accompanied the transformation of ancient wolves into domestic dogs. "Here we conduct whole-genome resequencing of dogs and wolves to identify 3.8 million genetic variants used to identify 36 genomic regions that probably represent targets for selection during dog domestication. Nineteen of these regions contain genes important in brain function, eight of which belong to nervous system development pathways and potentially underlie behavioural changes central to dog domestication. "Ten genes with key roles in starch digestion and fat metabolism also show signals of selection. We identify candidate mutations in key genes and provide functional support for an increased starch digestion in dogs relative to wolves. "Our results indicate that novel adaptations allowing the early ancestors of modern dogs to thrive on a diet rich in starch, relative to the carnivorous diet of wolves, constituted a crucial step in the early domestication of dogs." So maybe the normally available diets of our dogs, consisting of a mix of cereals and meat are actually the more natural way of feeding the domesticated dog! There's a nice article on humans' interaction with wolves in National Geographic magazine. In it the author makes an interesting observation regarding another change to the wolf's genetic makeup - appearance. "Most likely, it was wolves that approached us, not the other way around, probably while they were scavenging around garbage dumps on the edge of human settlements. The wolves that were bold but aggressive would have been killed by humans, and so only the ones that were bold and friendly would have been tolerated.